Preparing for any long distance walk or trek is no easy task. We have designed a 6 month Camino de Santiago fitness plan to help you get ready for the journey ahead. The first thing to remember is that everyone is different. 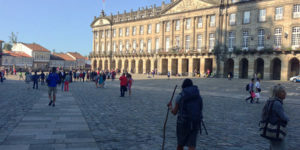 Whether you are an experienced walker or it is your first time embarking on an adventure like the Camino, you are always better off when you prepare in advance. 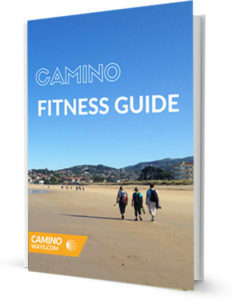 Our Camino Fitness Guide includes information on motivation and getting started. Stretching is extremely important for your training and we detail the top stretches for walkers. We´ll also tell you how to avoid common injuries like shin splints and heel pain. 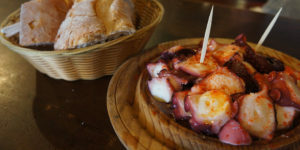 The Camino is famous for gorgeous food, but what should you be eating to stay in the best shape? We break it down for you our easy to follow nutrition section. If you are unsure of whether a walking holiday is for you, or what to wear when you get there we have got you covered in our fitness guide! The book finishes with our new 6 month training plan. Unlike other treks and challenges, the Camino welcomes people of all levels of fitness. This walk is not about who finishes first or who completes it the quickest. Some people will walk faster than others and some people will want to take their time, stopping sporadically along the way. The fitness required and the preparation needed also depends on the length of time you are planning to spend on the routes. The Camino Frances is the most popular route and the first section over the Pyrenees is well known as a difficult section. A lot of people recommend starting your Camino training at least 3 months before your departure but again this depends on your level of fitness and how often you generally walk. If you someone who enjoys weekly walks and hikes then you will have no problem completing at least one week on the Camino with very little preparation. We have designed a 6 month Camino fitness guide that you are free to use to prepare for the journey ahead and make the most of your time on the trails. Decide when you want to go – The weather in Northern Spain is changeable and you will have periods of rain during the spring and winter months. The most popular months to walk the Camino are between April to June and August to October. The summer months can get quite hot and there are sections of the trail where you will be fully exposed to the sun, for example on the Meseta. Remember to pack a sun hat and sunscreen. If you are preparing to walk in the Autumn or Winter time remember that you may experience muddy sections during the rainy months. You are likely to meet pilgrims on the Camino Frances at any time of the year. Decide what route is best for you – Every route offers something unique and each will leave you will special memories. The Camino Frances is the route that features in the movie ‘The Way’ and other well known documentaries. If you are searching for a quieter route you may want to look at the Portuguese Coastal Way. Our Camino travel specialists will help you to choose the most suitable trail. You can find more information on the most popular routes here. Decide whether you want to walk or cycle – The majority of people complete the Camino journey on foot but you do have the option to cycle a number of the routes and some even do it on horseback. Consult your doctor – If you are on any medication or worried about your health before you go please consult your doctor to get a physical exam. 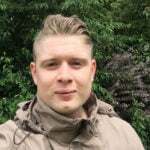 This will offer some reassurance and he/she may be able to advise on the type of terrain that is manageable or any additional exercise required. Don’t drastically change your routine – gradually build up the distance that you walk on a weekly basis. Add in the extras – If you are not used of walking with additional items bring your backpack filled with the necessary items on your preparation walks. As we take care of your main luggage for you, you will only need to carry essential items such as water, snacks, wallet, camera, sunscreen and an extra pair of socks. Get out on some local trails – It is a good idea to join a local walking club or ask friends if they will walk some local trails to help you prepare. If you live in Ireland you can join our monthly Camino preparation walks. Walk different terrains – When you are walking the Camino you will encounter many different types of terrain. Include flat walks, mountainous walks and some tricky trails as part of your fitness plan. Pack the right outdoor gear – walking shoes are crucial when you are planning for any long distance walk. Make sure you wear them in and have a couple of blister plasters in your bag in case of emergencies. Don’t forget some sunscreen. We hope that you enjoy your Camino de Santiago fitness guide. If you have any questions about the Camino our travel specialist are always here to help.